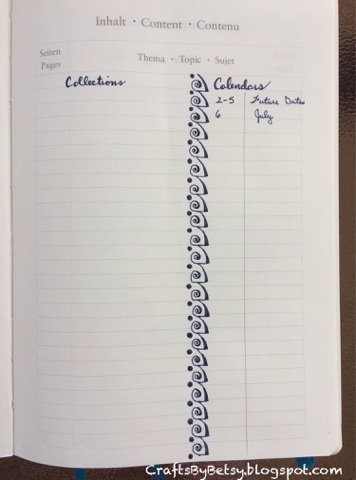 by Betsy: New BuJo pages and the "Bluebird of Happiness"
For more information on bullet journaling, check out this link. There are tons of examples out there, but my advice is to just start one....you will adjust it to meet your needs, no matter how much you plan. Their beauty is that you make them into what you like and need, not someone else's version (tho inspiration is always good). Here I've used MoFins as a divider. 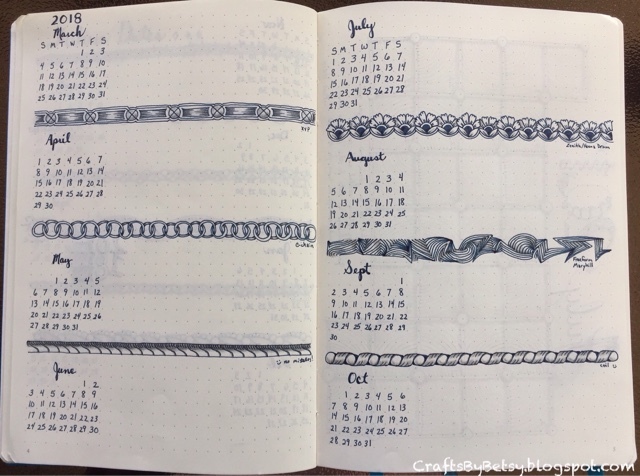 I've noted all the tangle names under each border. And, check out this blue bird of happiness. Yes, I know, not a blue bird...Art Impressions has some of the best stamps. Anyway, I wanted to point out just how much Zentangle has inspired this card. 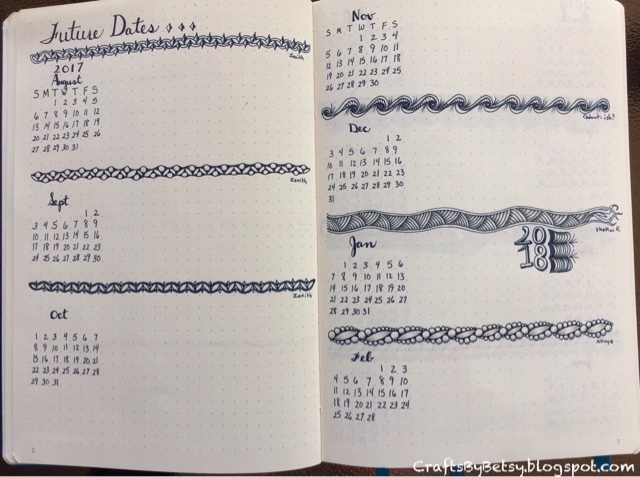 Absolutely no Zentangle patterns, but.... 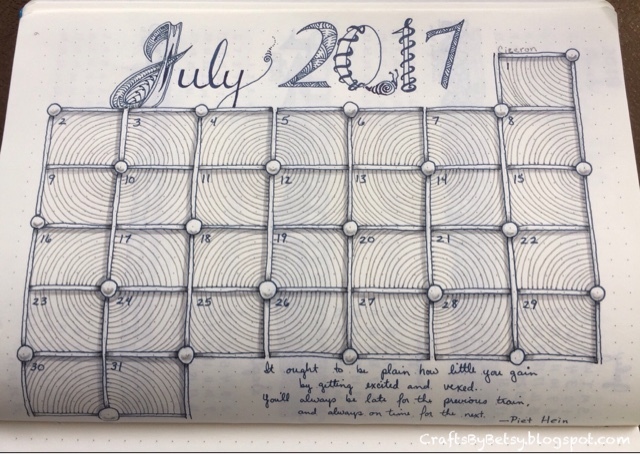 I have learned so much about shading, contrast and making something appear 3D from my Zentangle practice. Pretty awesome right? 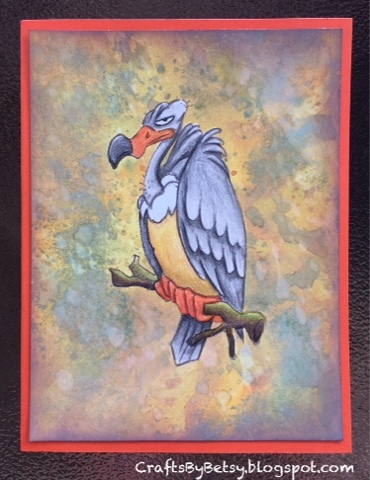 I stamped onto white cardstock with rich cocoa Momento ink, masked the image and then worked on the background using a combination of Distress and Distress Oxide inks. Then I colored in Mr. Bluebird a/k/a buzzard with Polychromos colored pencils.